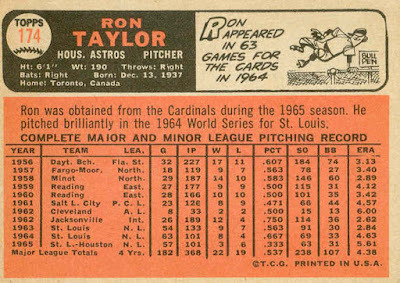 Ron Taylor pitched 9 full seasons (1963-71) for the Cardinals, Astros, and Mets. He also pitched a few games for the Indians in 1962 and the Padres in 1972. I knew of him only as a Mets’ reliever, as he spent 1967-71 with them. Taylor was signed by the Indians in 1956, and pitched in their farm system for 7 years (1956-62), almost exclusively as a starter. He played in 8 games for the Tribe in April and May 1962, but was sent back down in late May. 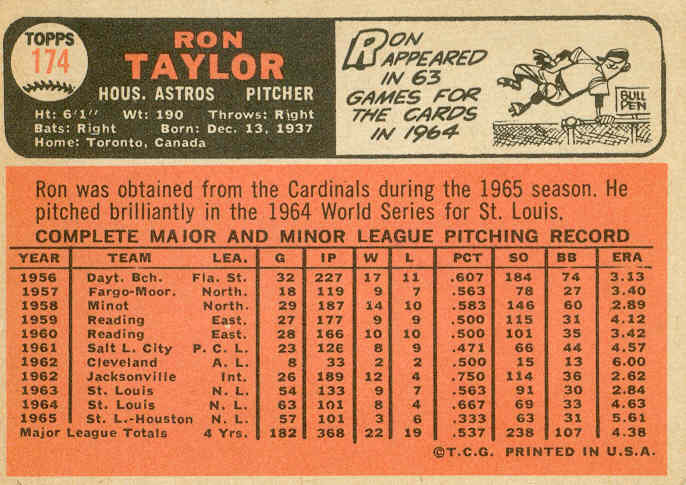 After the ’62 season, Ron was traded to the Cardinals for 1st baseman Fred Whitfield. 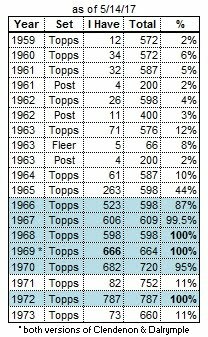 Taylor compiled a 9-7 record in 1963, starting 9 of his 54 games, but also leading the team with 11 saves. The following season, he worked out of the bullpen in all but 2 of his 63 appearances. He pitched in 2 games in the 1964 World Series, picking up a save in game #4. In June 1965, Ron and pitcher Mike Cuellar were traded to the Astros for pitchers Hal Woodeshick and Chuck Taylor. He spent 1 ½ seasons in the Astros ‘pen, working behind Claude Raymond and Jim Owens. 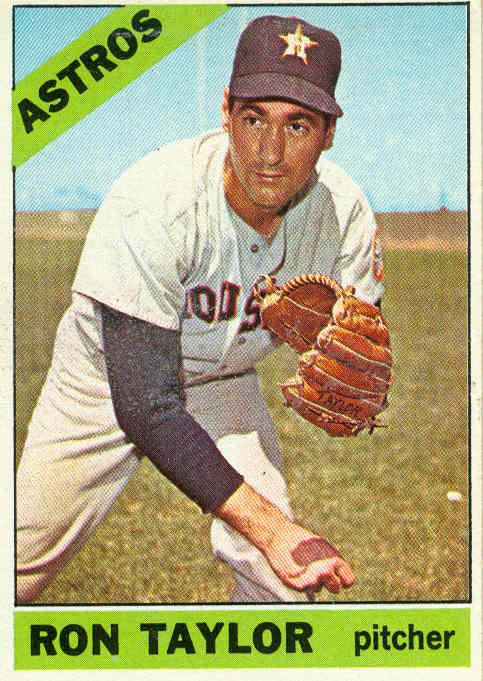 Ron was sold to the Mets in February 1967 and spent the next 5 seasons as a reliever in the Big Apple, never starting another game for the remainder of his career. Taylor led the Mets in saves for his first 4 seasons. 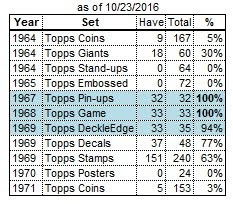 In 1969, he pitched in 2 NLCS games and 2 World Series games, saving game #2 in the Fall Classic. 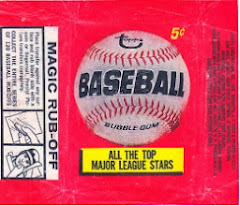 In 1971, he dropped to 10th man on the pitching staff, as Tug McGraw and Danny Frisella had taken over as bullpen aces. Ron was released by the Mets sold to the Expos after the 1971 season (who then released him during spring training in 1972), and was signed by the Padres in late-April. He pitched only 5 innings over 4 games for San Diego, the last on May 14th. After baseball he became a doctor, and spent time as the team physician for his hometown Toronto Blue Jays.